Is The “Improved” JTX SLIM-FIT Home Vibration Plate Up To The Job? The JTX SLIM-FIT Home Vibration Plate is a great wobble machine for weight loss, toning and strength training. 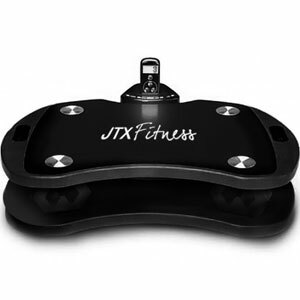 This is actually a new and improved model from JTX Fitness, with an upgrade to the style of vibrations and motion of the plate. Does this make a positive difference? Can The JTX Fitness Salon-Fit-S2 Vibration Plate Offer The Simple Toning Experience Women Want? This product is now discontinued. You can find the newer models here. JTX vibration plates have become a popular choice with many women looking for an alternative way to lose weight and tone up and the JTX Salon-Fit-S2 Vibration Plate promises to be an interesting addition to the range with its iFit and Flabelos style vibration plate and 99 speed settings. There should be plenty of power and motion here with the 1500w oscillation motor, 12mm pivotal motion and the “intense” settings for the 500w vibration motor and it promises to offer the reliability and style of commercial machines in salons – hence the name. Does the product succeed or are their flaws in its design? Does The JTX Fitness Home Weight Loss Duo Really Provide Such A “Perfect Pair”? This package is no longer available. 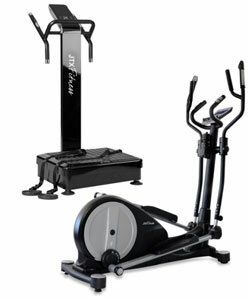 You can check newer models at JTX Fitness here. The oscillating Salon-fit S2 and Tri-fit cross trainer may be familiar to JTX customers but now the company are bringing the two together in the JTX Fitness Home Weight Loss Duo to give users the benefit of both in a better deal. This combination is said to be the “perfect pair to help you shape up” and both pieces are appealing, with the multiple functions of the powerful plate and the 18” stride length and 11.5 kg flywheel of the trainer, but is the combination of the two really worthwhile? 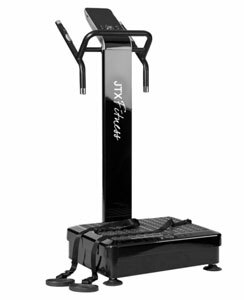 Can The JTX Pro-50 Tri-Plane Vibration Plate Provide The Gym-Quality Experience Hoped For? When the designers of the JTX Pro-50 Tri-Plane Vibration Plate mention a “superior specification”, it is hard not to take note of this product. With its range of programs, impressive dimensions and even more impressive power and vibrations, this machine has been created to impress and JTX Fitness goes as far as saying it is meant to be a “centre-piece in a high specification home gym”. Is The Oscillating Plate Of The JTX 6000 Vibration Plate Enough To Win Over The Sceptics? This product is now discontinued. You can find newer models here. Vibration plates are becoming an attractive alternative to regular exercise machines for many people and the JTX 6000 Vibration & Oscillation Plate is particularly appealing because it provides 2000w oscillation and/or 500w vibration. In addition to this dual purpose, this model has a massive range of speed settings, 8 programmes and an instructional wall chart and DVD.